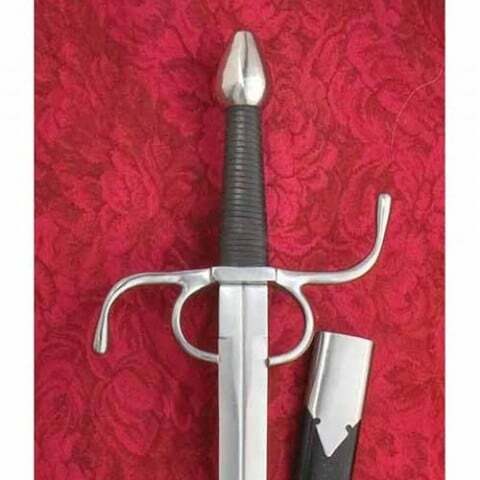 The prelude to the modern military sword hilt. Transitional period when sword makers left off bars of earlier rapiers for easier carrying. Original in Castle Saint Agnew, Rome. 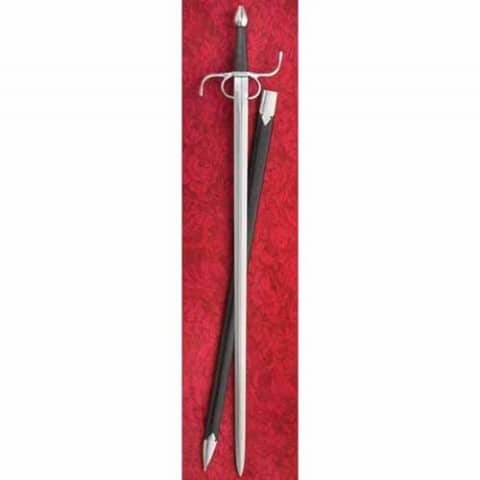 Classic sword rapier type blade 94cm x 3cm wide. Overall length 110cm. Weight 1kg.